We will be using this space to periodically post special collaborations towards creating a Wildlife Friendly™ world. At the Wildlife Friendly Enterprise Network (WFEN) our mission is to foster coexistence between wildlife and people around the world. Local people we work with include the many herders, ranchers, farmers, artisans and indigenous peoples who produce the raw materials used by the global fashion industry. We collaborate with brands large and small at the leading edge of sustainability who are working in many innovative ways to green their supply chains. These companies are finding that most of their environmental impacts exist at the raw materials sourcing level, and are taking steps to reduce detrimental effects on ecosystems. This includes farm management practices to reduce predation by native carnivores like wolves, lions, coyotes, grizzly bears, tigers, jaguars and snow leopards which may prey on domestic livestock. It also involves putting into place non-lethal coexistence practices to prevent retaliatory killing of predators such as using livestock guardian dogs to protect flocks like the Abruzzo dog pictured here vigilantly protecting his flock of cashmere goats at Wildlife Friendly™ Certified Chianti Cashmere’s farm in Italy. 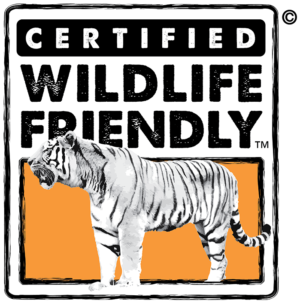 Other Wildlife Friendly™ farming and ranching practices include bringing stock into protected corrals at night, retrofitting fencing to allow wildlife safe passage through farm corridors, and ensuring that farms provide quality habitat and accessible water sources for wildlife ranging from pollinators to pumas. 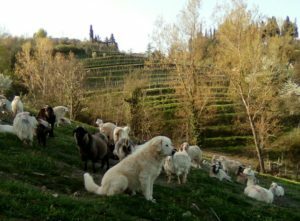 We encourage consumers to educate themselves not only about the humane treatment of domestic livestock such as sheep which produce wool, goats which produce mohair and cashmere and other animal fibers used in the fashion industry, but also about the impacts to wildife sharing those same agricultural landscapes. 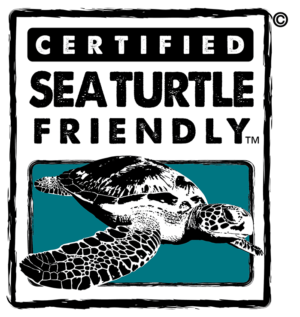 The fashion industry not only impacts wildlife living on or near farms; it also can threaten marine wildlife like sea turtles, whales and everything in between. We’ve all seen the recent stories about ocean plastic, microplastics and microfibers which are now ending up in marine wildlife including those which are consumed by humans as seafood – the cumulative health impacts to both people and wildlife are not yet well understood. On a personal note, besides being one of the co-founders of WFEN, I am the daughter of a vintage / consignment store owner, what is now being dubbed ‘re-commerce,’ so many of the best and most treasured pieces in my closet were previously owned and loved. Shopping vintage or thrifting also adds to the thrill of the ‘hunt’ for that perfect piece at a closer-to-perfect price point. To highlight the circular economy, the world’s wildlife, and in celebration of “National Consignment Day” 2018 we have teamed up with thredUP who generously gifted us a shopping credit which we decided to use to highlight ‘sustainable’ brands on their site. Some of what we found is below. For a deeper dive into how thrifting is thriving including some cool stats and infographics, click here and see the graphics below. 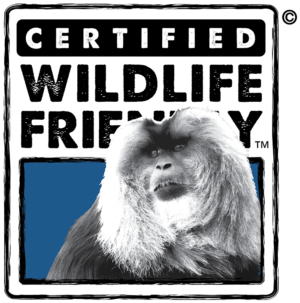 To learn more about Wildlife Friendly™ fibers and where to buy them, please visit www.wildlifefriendly.org and our Buy Wild Story Map and join us on Instagram, Facebook and Twitter. Marissa Altmann is WFEN’s Special Assistant to the Executive Director and recently earned her Master’s focusing on the relationships between tourism and wildlife. 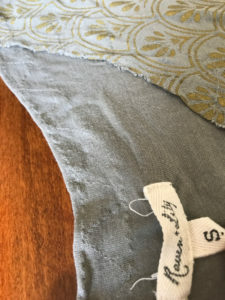 Marissa is always looking for practical, eco-chic styles so she bravely took our thredUP Sustainable Shopping Challenge with brands featured here. 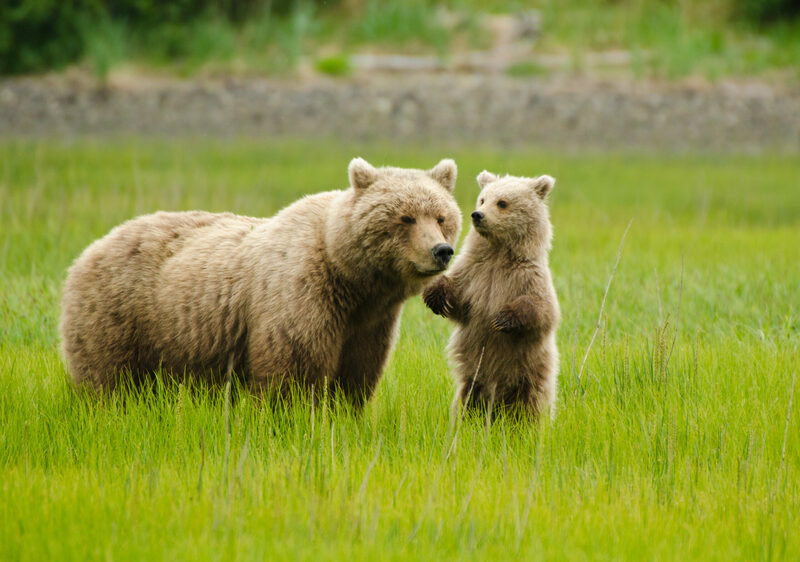 While each company defines ‘sustainability’ differently, and our mission at WFEN is to make sure wildlife and biodiversity are included in that definition in meaningful ways, more and more companies have been focusing on their impacts and exploring ways to reduce them. In addition, because these finds are pre-loved, buying on thredUP means we are taking major steps by reducing energy and water use, preventing garments from ending up in the landfill, and keeping fibers out of our water. Marissa used her $100 thredUP sustainable shopping credit to buy from Raven + Lily, Edun, Eileen Fisher, Indigenous, Patagonia, Threads 4 Thought, Amour Vert and United by Blue. Scroll down to see some of the treasures Marissa found during her sustainable shopping spree on thredUp. And a big thank you to thredUP for helping us to highlight how sustainable fashion can help save wildlife! What We Bought: A beautifully patterned t-shirt from Raven + Lily which was $25.50 on thredUP. Why We Love it: Raven + Lily sources from Wildlife Friendly™ Certified Wildlife Works whose designs are made in the world’s only carbon neutral, fair trade factory protecting wildlife in Kenya including an important elephant corridor between two protected areas Tsavo East and Tsavo West National Parks. 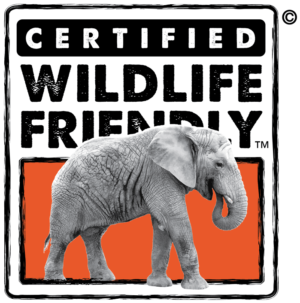 Wildlife Works believes that fashion has the power to impact lives for the better, be kind to the planet and even protect wildlife from extinction. Raven + Lily also offsets their carbon with Wildlife Works for all of their product shipping so that they are carbon neutral. 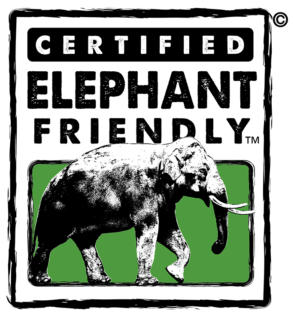 We were thrilled to find this Wildlife Friendly™ brand on thredUP! In addition Raven + Lily designs employ women, are made by hand and are fair trade. 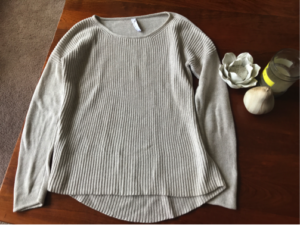 What We Bought: Eileen Fisher sweater for $44.99 on thredUP. Why We Love it: Eileen Fisher has included four core benefits as part of their purpose, including minimal environmental and social harm; creating inclusive workplaces; empowering women, girls, and supporting all people and environmental protection; and working collaboratively and transparently in the fashion industry to advance ethical business practices. The company is a leader in ecological and social consciousness. Our favorite thing about Eileen Fisher is that as part of their Vision 2020 plan, they will “use wool from sheep that are responsibly raised—on land that is managed with deep concern for the environment.” Our own mission recognizes the importance of protecting biodiversity and key species, including and especially native predators, on agricultural and private lands around the world. In Peru, they are sourcing handmade, artisan clothes from undyed alpaca fiber and are supporting small-scale ranchers, women who sort the fiber, and skilled craftspeople. Also in Peru, organic agricultural practices for cotton are helping to protect soil ecosystems and invertebrate biodiversity while local communities knit this material into sweaters. Local communities are contributing their knowledge and artistry to Eileen Fisher’s clothing line elsewhere as well, including in India, Ethiopia, and Japan. Eileen Fisher is working with non-profits and suppliers to ensure that the wood pulp-based fibers used in their clothing, like rayon, modal, lyocell, and now Tencel®, do not negatively benefit ancient and endangered forests around the world. 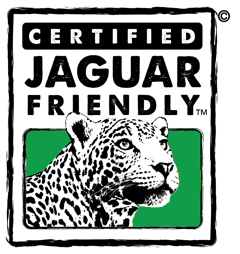 They are working carefully to keep their supply chain free of fibers from illegally or recently logged forests, and working with certification programs that meet ecological, economic, and social criteria. Furthermore, Eileen Fisher is committed to using recycled and reclaimed fibers in their production, which ensures less waste, less energy use, and more conservation of our natural resources. The company is also using chlorine-free wool and natural and bluesign® certified dyes to conserve water and to prevent toxic chemicals from ending up in their clothing and in our planet’s ecosystems. Why We Love it: Indigenous says “We go beyond fair trade, crafting a supply chain focused on the needs of our artisans. Through economic empowerment artisans are able to improve their own lives, invest in their families, and give work and training to other women in their communities.”More than that, they have an annual Impact Report that you can download directly from their website. On their website you can also view the amount of agricultural water saved annually, carbon dioxide kept out of the air, and the amount pesticides kept off of the lands where their cotton is grown. At Wildlife Friendly, know that sustainable livelihood opportunities are key for biodiversity conservation. The inclusion of traditional textile practices and support for local artisans makes Indigenous a real gem for holistic conservation practices. What We Bought: This gorgeous draped black dress from Edun. We’re always looking for clothes that pack well and don’t wrinkle easily, and this fabric is perfect for traveling to hot climates. $47.60 on thredUP. Why We Love it: The sourcing of each Edun collection is a mix of innovative eco solutions (organic, recycled, and upcycled fabric) and artisanal custom-made fabric developments and embellishments made in Africa. 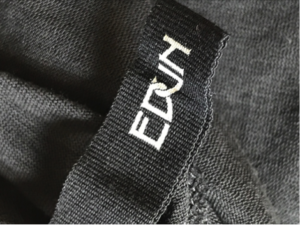 The origin of Edun products, as well as the stories behind them, remains front and center. It is key to reveal where things come from; Edun believes this approach is beneficial to all. An example of this is the groundbreaking work that the Kering Group (parent company of brands like Gucci and Yves Saint Laurent) has done on their Environmental Profit and Loss Accounting system here.